House plants are all the rage these days and if you just googled house plants, you'll see a vast amount of information covering more basic and common house plants. If you've been following us for a while now, you'll know that we're crazy about our studio and shop plants. And we recently even decided to show that by hosting Intro to House Plants Workshops to share all we know about plants with you! You may be familiar with easy, no-kill plants for even the "blackest" thumb, like the Snake Plant, ZZ plant and Pothos. But if you've graduated from those, or just want to try out some other great indoor plants that are tried and true, (by us! ), look no further! Just scroll on down to check out our five favorite indoor plants! Also known as "Senecio Rowleyanus", this is a creeping, perennial, succulent vine belonging to the family Asteraceae. We love their pea shaped little leaves and how they trail over plant pots. They also come in various sizes so we love this tiny one we've got as a little desk buddy. Bright but indirect light and soil that drains well so it can dry out completely between watering. Also known as "Pothos Argenteus", this is a relative of the Golden Pothos (what most people are familiar with). We love it for the satin feel of its leaves and beautiful hints of silver color. We love them in a table top planter stand so its vines can trail as it grows! Place in a planter in indirect sunlight and water when soil feels dry 2" below the top. 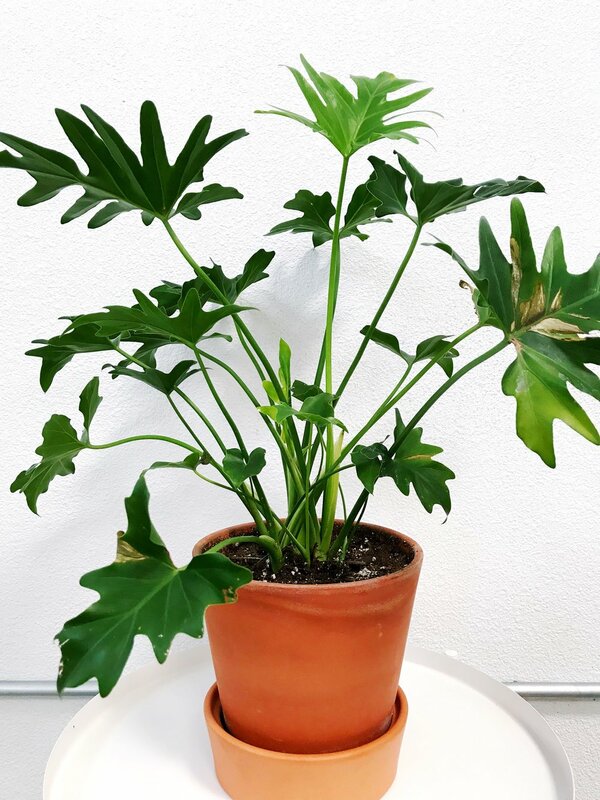 With almost 500 different varieties, you're sure to find a Philodendron friend you'll love! 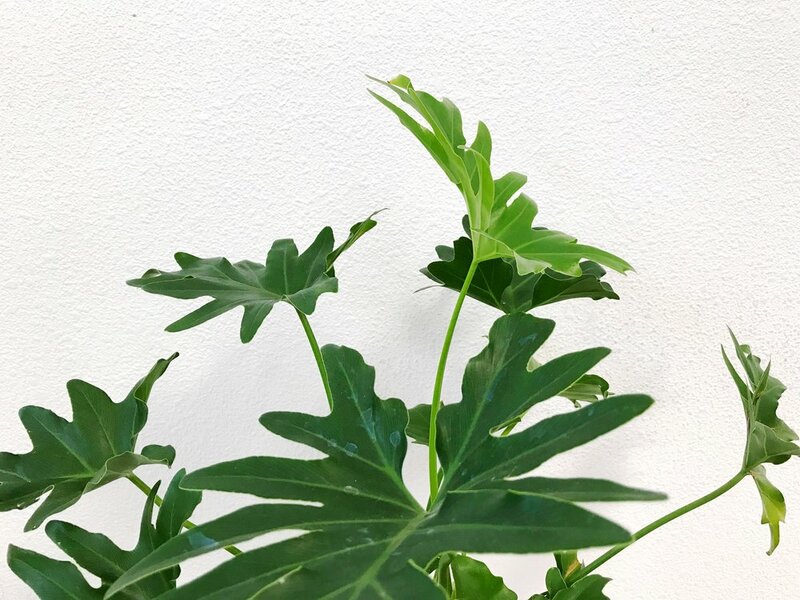 We're partial to Philodendron Selloum for its fun shaped leaves that add texture to any space. Given the right conditions, this fella can grow up to 5 feet and produce leaves that are 2-3 feet in size! We also love that he adds some of those tropical vibes. Loves bright, indirect light and likes moist, but not soggy soil, so don't over water! Another plant genera with over 1000 species, you're probably going to end up in love like we did as you try to grow your collection of different Peperomias! We personally love the Peperomia Obtusifolia for its shiny circular leaves and the fact that it flowers! And we also adore the Golden Gate Peperomia for its white + green leaves. Bonus, these guys purify the air! Can do well in both medium to bright indirect light and only water when soil is completely dry. We love the "Alocasia", also called the African Shield Plant for its deep green leaves and striking white veins. This plant adds some dramatic flair to the simplest planter, in our case, this blush pink/peach one. Loves warmth and humidity, let soil dry through the top inch before watering again. What are some of your favorite indoor plants? Any we should add to our list? Let us know in the comments below! 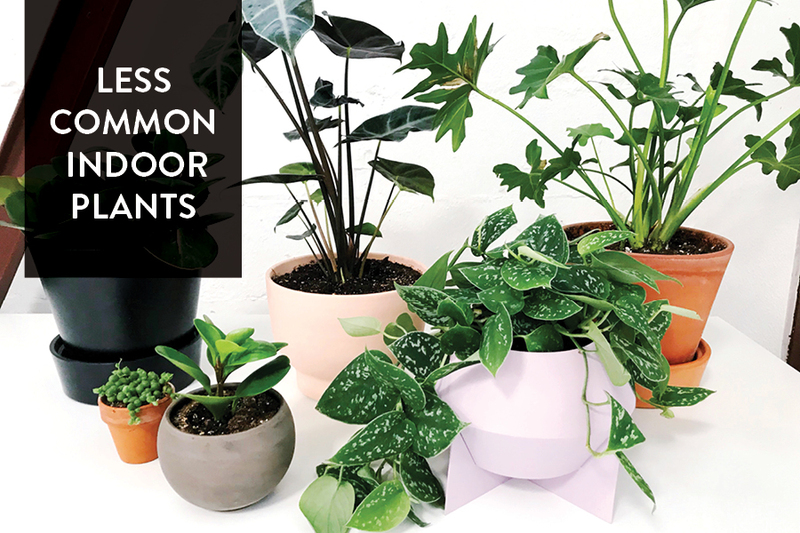 Whether you are an aspiring plant lady, or just want to learn more about house plants, this workshop is perfect for you to work on your green thumb! Join us for our Intro to House Plants workshop where we share all we know about indoor plant care!